A special presentation of works by Maria Sotolongo and William Bock are on display. Also being shown are images of flowers dating from late 19th century chromolithography to paintings and photography of the 21st century. 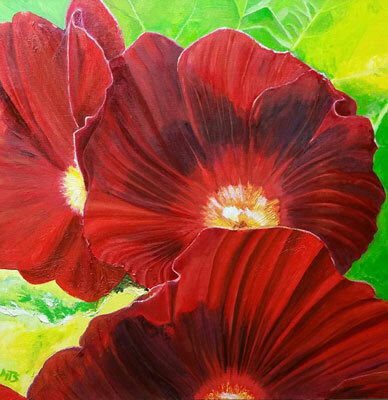 Saturday May 18 through July06, 2013 May to July gallery show. New work by South Florida artist William Bock and a selection of original works on paper by Japanese artists Katsunori Hamanishi, and Yoshikatsu Tamekane. 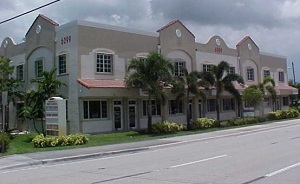 Tuesday May 29, 2012 New store location at 6099 Stirling Road, Davie FL, just a few blocks east of our old location. the work of a selection of artists from around the world. Saturday September 24 to Saturday Octover 22, 2011 George Cramer: Pioneer of Computer Art. Computer assisted art from the 1980�s through 2004. In 1988 an exhibit titled "CRASH� (ComputeR AssiSted Hardcopy) was presented at The University of Wisconsin - Madison. This was the first ever international computer art exhibit. Saturday June 18 to Saturday July 30, 2011 Puzzles, Fossils and Dinosaurs by South Florida Artist William Bock: "Brown Pelican" is the 3rd and most recent of the artist�s Heritage puzzles. 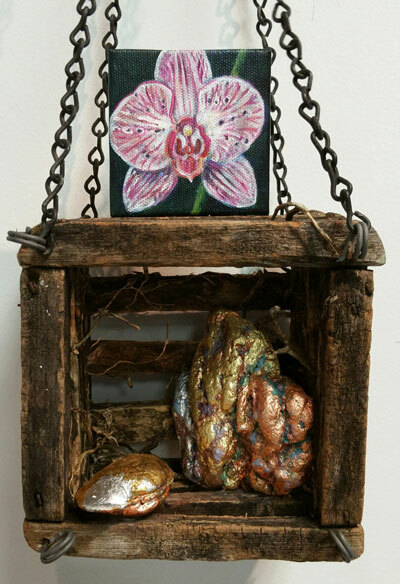 Also on display are Bock�s recent paintings and mixed media creations of dinosaurs and fossils. Saturday January 22 to Wednesday March 30, 2011 Art from around the World: Ceramics, paintings on canvas, sculpture, jewelry and works on paper by gallery artists will be on display. Saturday September 18, 2010 2 Summer Exhibits: "On the Subject of Women" and "Gallery Artists"
Saturday July 10, 2010 "My Kingdom for a Horse"
Images of Horses by Japanese artist Katsunori Hamanishi visit Davie Florida. A fund raiser and exhibit of artwork by the students (K-5) of Nova Dwight D. Eisenhower elementary school. A selection of drawings, paintings and prints by Engels are on view. Later works from 2000-2002 carry on the tradition of modernism seen in his earlier works. These are a series of lithographs that vibrate with color, form and movement. Saturday July 18 to Saturday Sept 12, 2009 Summer Salon Show "Mr. Magoo Goes Arty"
Original production cels of Mr. Magoo and Alvin and the Chipmunks by Jules Engel, as well as some of his abstract fine art prints. Also on view is a selection of the work by gallery artists from Australia, Japan, the Netherlands and the United States. On view are original chromos mainly from newspapers such as the Chicago Tribune and Philadelphia Inquirer, and other major cities, from the late 1800�s to early 20th century. The subject matter of the chromos are of historical and social interest today because they give the viewer insight into what the public of that time was interested in seeing. Friday April 17, 2009 A Paintbrush and a Camera celebrating Art & Frame's grand opening and new showroom. On view is a broad selection of photographs and paintings by William Bock and Maria Sotolongo. The subjects are landscapes, wildlife and architecture. Featuring Etchings, Mezzotints, Woodblocks and Lithographs by: Susumu Endo, Katsunori Hamanishi and Yoshikatsu Tamekane. Saturday June 21, 2008 The Orient Express�ions: Abstract and representational works reflecting the current focus of Japanese artists. Saturday Mar. 29, 2008 Changing Styles celebrating the work of south Florida artist William Bock in a retrospective of paintings and prints spanning 1968 � 2008. People, Places and Flowers: The Art of the Photograph starting May 12, 2007 in Davie Florida.. The Senior Center goes Global. Through December 13, 2005 at Princeton NJ Senior Resource Center. Paintings and Lithographs by Riva Urban October 1 - November 1, 2005 in Princeton NJ. Jules Engel Remembered September 8 - October 1, 2005 in Princeton NJ. Summer Salon show: Surfing the International Print World, #5 July 29 - August 28, 2005 in Princeton NJ. Our Children, our Oceans, our Future January 27 - February 12, 2005 in Plantation FL. New works from Curlee Raven Holton and Faith Ringgold November 27 - December 13, 2004 in Princeton NJ. Exhibit of Fine Art from around the World October 16 - November 22, 2004 in Princeton NJ. Katsunori Hamanishi and the art of the mezzotint September 9 - October 2, 2004 in Princeton NJ. First Impressions: Digital watercolors of Princeton by Dr. Michael Berger August 5 - August 28, 2004 in Princeton NJ. Where the East meets the West June 16 - July 3 2004 in Princeton NJ. Poetry of the Woodblock Print May 14 - June 6 2004 in Skillman NJ. 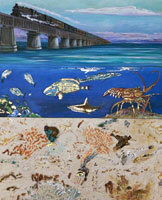 Underwater World Museum Show through February 2004 in Dania Beach Florida. CRASH (ComputeR AssiSted Hardcopy) Revisited: November. 13 � December. 6, 2003 in Princeton NJ. The art and artists of Australia, the Netherlands and Japan: September 26 - October 31, 2003 in Princeton NJ. Jazz and Blues The drawings, etchings and prints of renowned African American artist Curlee Raven Holton. Beginning September 17, 2002 in New Brunswick NJ. A Far Eastern Perspective, Windows to a vibrant culture II, Etchings, lithographs, cast paper, woodcut/collograph and mezzotint are the among the mediums employed. Beginning July 26, 2002 in Princeton NJ. Marine Wildlife Art Exhibition and Fund Raiser, Proceeds from the show will help support the National Save The Sea Turtle Foundation�s efforts in protecting and preserving marine life in our oceans and waterways. Beginning July 13, 2002 in Plantation Florida. Soho Blues, Featuring newly released images of Bruce Springsteen, Jimi Hendrix, Bob Marley and Keith Richards as well as the photos of John Lennon and Yoko Ono. Presented by The Williams Gallery in conjunction with the Small World Caf� May 7 - June 3, 2002 in Princeton, NJ. Ctrl + Alt + Delete: A Visual Presentation, Presented by The Williams Gallery in conjunction with the George Street Playhouse. March 18 - April 14, 2002 in New Brunswick, NJ. 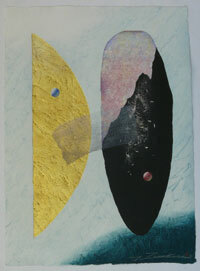 An International Flavor, Computer Art, Etchings and Mixed Media works on paper. Presented by artists from Australia, the Netherlands, the United States and Japan. February 4 - March 9, 2002 in Princeton NJ. A Far Eastern Perspective - 2001, Windows to a vibrant culture: as seen in the works of four artists selected from the prestigious 2001 CWAJ show in Japan. November 24 - December 22, 2001 in Princeton NJ. Sights and Sounds of Manhattan and Princeton, A unique blending of urban and suburban architecture and locations reflects the diversity yet vibrant similarities of these two towns. October 30 - November 20, 2001 in Princeton NJ. Modernism, Mr. Magoo & More, New and other works by master animator, artist and filmmaker Jules Engel is on display Friday September 22 - October 20, 2001 in Princeton NJ. 3rd Anniversary Art Exhibit, Bock Gallery celebrates its third year in its Plantation location gallery with paintings by the Bocks and many gallery artists on display starting September - December 2001 in Plantation FL. Nassau Club exhibit, In and around Princeton, Three artist, three unique techniques and three views of Princeton as interpreted by Berger, Sakson and Schmeiser. July 17 - August 31 , 2001 at The Nassau Club in Princeton NJ. Ancient Cultures Revisited, Etchings by J�rg Schmeisser, Painted Panels and Sculpture by Sally Spofford. February 24 - March 24 , 2001 at The Williams Gallery in Princeton NJ. The Familiar and not so Familiar, From traditional landscapes and still lifes to futuristic visions of space and nature. December 2 - January 27 , 2001 at The Williams Gallery in Princeton NJ. John Lennon and Yoko Ono: Double Fantasy, color photographs by Allan Tannebaum. October 21 - December 22 , 2000 at The Williams Gallery in Princeton NJ. Transcendency, Art Which Elevates and Soothes Your Mind. Through September 1st, 2000 at Bock Gallery in Plantation FL. Etchings from Angkor, Cambodia and Nara, Japan, Recent Works by J�rg Schmeisser. April 29, 2000 - May 13, 2000 at The Williams Gallery in Princeton NJ. Old and New Expectations, Select Portrayals of Women Through the Millennium . March 11, 2000 - April 8, 2000 at The Williams Gallery in Princeton NJ. Fine Art and Technology in the 21ST Century, Leaders of Innovation. January 29, 2000 - February 26, 2000 at The Williams Gallery in Princeton NJ. Going Global, Contemporary Fine Art From Around The World, From Princeton, New Jersey to Reykjavik, Iceland. November 27, 1999 - January 22, 2000 at The Williams Gallery in Princeton NJ. 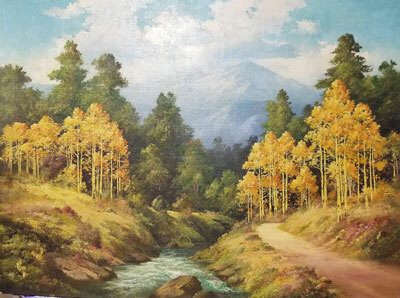 Thomas George, Recent oils and watercolors. October 23 - November 20, 1999 at The Williams Gallery in Princeton NJ. A Far Eastern Perspective, Recent Lithographs by Susumu Endo of Japan, Woodblock/Collagraphs by Yoshikatsu Tamekane of Japan and Digital Paintings by Cyprian Li of China. Sept. 18 - October 16, 1999 at The Williams Gallery in Princeton NJ. Vessels in Time, Summer Salon show and Gallery Talk. An exhibition highlighting icons, symbols and architectures of antiquity. July 17 - August 17, 1999 at The Williams Gallery in Princeton NJ. Urban Landscapes, Recent Works by Uri Dotan, Robert Linton Ewens, and David Scott Leibowitz. June 11 - July 10, 1999 at The Williams Gallery in Princeton NJ. Works on paper by internationally recognized African-American artist, Curlee Raven Holton,with a special presentation of new prints by world renowned artist, Faith Ringgold. April 17 - May 15, 1999 at The Williams Gallery in Princeton NJ. Art Treasures from around the World - Part II, Featuring gallery artists of Australia, Japan, Italy, Mexico, The Netherlands, Russia, and the United States and introducing - new to the gallery - the paintings of Gabriel Schmitz. February 1 - March 31, 1999 at The Williams Gallery in Princeton NJ. Santa Cruz Open Studios 1999 our third annual review of one of California's premiere art events. The Santa Cruz artistic community is an exceptional one, with a long tradition in ceramics, glass, painting, and sculpture, and a large number of established and successful artists living and working in the region. Pacific Northwest Art Festival - July 1999. Come peruse our roving reporter's review of the Pacific Northwest Art Festival in Bellevue, Washington. The article will includes a general overview of the show, and features six exceptional participating artists. Our newest feature covers the work of Karen Lewis and David Mays, two promising young performance artists living and working in Oakhurst California. Surfing the International Print World - Fourth Annual Exhibit, An Exhibit of Works on Paper by Nationally and Internationally known Artists using a combination of Traditional and Digital Techniques to create their images. October 9 - November 14th, 1998 at The Williams Gallery in Princeton NJ. Innovative Imprints and Impressions, The Williams Gallery is pleased to announce that a selection of art works by Margaret Kennard Johnson are among those included in an exhibit at Stark & Stark's reception area galleries July 22 - October 23, 1998 at Stark & Stark's reception area galleries in Lawrenceville NJ. Twentieth Century Paintings, Prints, Computer Art and Sculpture, Introducing 'New To The Gallery' - Japanese Printmakers Rieko Fujinami and Kenichi Tankaka. 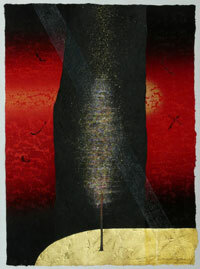 And works by Gallery Artists, with new Lithographs by Susumu Endo. June 20 - August 15, 1998 at The Williams Gallery in Princeton NJ. Transcending the Surface: Layers, Patterns and Textures, The Williams Gallery is proud to announce that a selection of art works by Margaret Kennard Johnson are among those included in an exhibit at the Bristol-Myers Squibb Gallery. July 12 - September 7, 1998 at Bristol-Myers Squibb Pharmaceutical Group Headquarters near Princeton NJ. Pictures of Life, an art exhibit featuring European Artists Karl-Heinz Irber, Monika Eggert, Margit C. Drescher and Inge Kellermeier. January 13, - February 14, 1998 at Bock Gallery in Hollywood FL. Art and Artifacts from around the world, Gallery Artists from Africa, Australia, Italy, Japan, Mexico, The Netherlands, Russia, and the United States, and Introducing Bronze Sculpture by Gakunju Kaigwa of Kenya. December 2, 1997 - January 24, 1998 at The Williams Gallery in Princeton NJ. ", An exhibition of etchings inspired by and created during the artists extensive journeys throughout the world. November 1 - November 22, 1997 at The Williams Gallery in Princeton NJ. Sausalito Art Festival , The Williams Gallery of Fine Art sent a representative to the Sausalito Art Festival to search for new talent, in particular artists involved in computer art and the Computer art pavilion. August 30 & 31, 9:am - 6:pm, and Monday, September 1, 9:am to 5:pm. Review of show now available. A Celebration of Art and Music, an art exhibit featuring Hannah Loesser and her father, Broadway lyricist/composer, Frank Loesser and gallery artists October 14 - November 15 at Bock Gallery in Hollywood Florida. Print event and silent auction at the Jane Voorhees Zimmerli Art Museum, Williams Gallery artists George Chaikin, George Cramer, Dorothy Krause and Michael Berger have been selected for inclusion in the exhibition September 14, 1997 - October 26, 1997 in New Brunswick, NJ. A New Reality, Recent Painting and Pastels by Thomas George. September 27 - October 25, 1997 at The Williams Gallery in Princeton NJ.. Currently showing at The Williams Gallery's Digital Art Gallery, a by-appointment showroom of works on paper by leading digital artists from around the world. Oct 1 - Oct 30, 1997 "The Digital Photography of Michael Berger"
The Alliance of Art and Music: Photographs and serigraphs by Allan Tannenbaum and Jonathan Bock. Exhibited at Totally Wired Cyber Caf� & Gallery, 134 Nassau St. Princeton N.J. This is the 4th in a series of traveling exhibits featuring the well known photographs of John Lennon by Allan Tannenbaum, and the silk screen images of the "Guitar Players" by artist and animator Jonathan Bock. , May 2 - June 30, 1997. Meditations and Permutations: an Exhibition Exploring the Continuum of Symbols Past and Present. Presenting intaglio prints by Margaret Kennard Johnson, etchings from the "Greek" series by J�rg Schemisser, mixed medium paintings by Sally Spofford and marble sculpture from the "Shell" series by Gar Waterman. April 12 - May 17, 1997 at The Williams Gallery. Art exhibit at the Sanibel Gallery: in conjunction with The Sanibel Music Festival, March 14 - March 31, 1997. Surfing The International Print World: Second Annual Exhibit featuring works created by nationally and internationally known artists using traditional and/or digital media, February 8 - March 31, 1997 at The Williams Gallery. "A bunch of digital art": Show at The College of New Jersey. Williams Gallery artists Dorothy Simpson Krause and Roman Verostko are among the artists selected, January 20 - February 12, 1997. Salon Show: Gallery Artists, and Introducing Paintings by Tanya Kohn (Mexico) and Digital Art by Charlotte Landgraf (Germany) & Michael Berger (USA), November 19, 1996 - January 18, 1997 at The Williams Gallery. Paintings, Drawings and Sculpture: New Works by Hannah Loesser, Ruth Velikovsky Sharon & Jerome Collins. New Show at The Williams Gallery, October 19 to November 9, 1996. Photographs by Robert Ewens New Show at Currican Playful Productions Theater, October 18th to November 17th, 1996. Altered Photographs & Alternative Locations: New works by David Scott Leibowitz. New Show at The Williams Gallery, September 27 to October 12, 1996. A new location in Hollywood Florida, the Bock Gallery: Fine Art, Murals and Framing has moved. Selected Williams Gallery artists has works on display in this location in addition to the main gallery in Princeton NJ. Andor Orand 'The Scientists' (The Institute Series) and, "What ever happened to the squared quarter?" New Show at The Williams Gallery, July 13 to August 24, 1996. Digital Celebration - One year on the World Wide Web, New Show at The Williams Gallery, June 4 to July 13, 1996. Celebrating the first anniversary of The Williams Gallery web-site of works by Barbara Nessim and introducing the work of our new "Featured Artist" of the month, Barbara Joffe. Exploring the Landscape - Expanding Awareness, New Show at The Williams Gallery, Mar. 9 to Apr. 13, 1996. Paintings of Kenneth Layman and Rena Segal, Digital Photography of Susumu Endo, Sculpture by Rory Mahon. The February/March issue of Computer Artist magazine, in an article by Arielle Emmett, profiles the career and work of artist George Cramer. The magazine also features Cramer's art on its cover and in the pages of the profile. Computer Artist is available on select newsstands or by calling 603-891-9166.